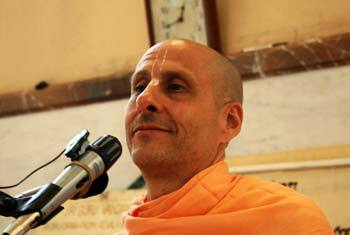 Question to Radhanath Swami: How do you communicate with the younger generation? How do you make them believe your message is good? 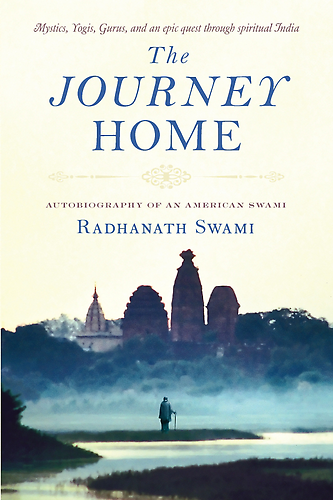 Radhanath Swami Answers: One thing that resonates with people is our living example. Young people are often tired of just listening to older people talk. I am from America. I grew up as a teenager in 1960s along with my dear friend Garry; that was the time of the counter culture, and we were very much part of it. It was a time when the youth were rebelling against the older generation; we had a mantra, a slogan: “Never trust anyone over thirty”. Why? Because we were hearing about freedom for everyone, but if you were born with black skin, an African American, 95% chances were that you would live and die in the ghettos; there was practically no way out, they did not have equal rights. And I saw that with other minorities too. I think youth are always like that. They are idealistic; they see more than they hear. And if they feel we are genuine about what we say, that we are walking our talk, they take it seriously. And we should somehow connect with them, with what they are going through right now. This was a problem in my own youth; the teens were suffering anxiety and despondency over situations of society and the older generation could not understand it. We have to really understand what the young people are going through. And people respond to love, people respond to the message of compassion, people respond to universal principals.